Invincible is published by neither Marvel nor DC, but the Image Comics series is a great place to start for anyone new to comic books. Set in a self-contained universe, it follows Mark Grayson, the son of the world’s greatest superhero who soon discovers powers of his own. 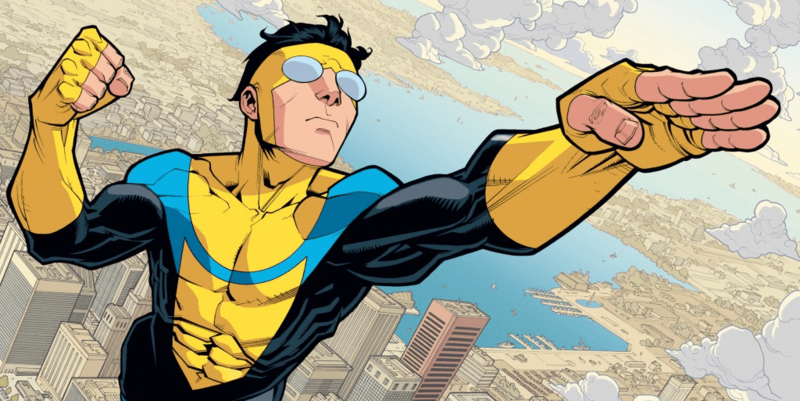 Despite its seemingly cartoonish exterior, Invincible is well-known for featuring some of the most brutal, bloody and realistic fight scenes in all of comics, while the fact that it’s written by The Walking Dead’s Robert Kirkman should help you put aside any doubts you may have about giving it a try! The ongoing narrative is HUGE, and certain plot developments are often spread out over multiple issues. The fact that there are now over 100 available makes this a great series to sit down and read in one go!